This resource is part of a growing group of resources that focuses on the Daily 3 Math structure. 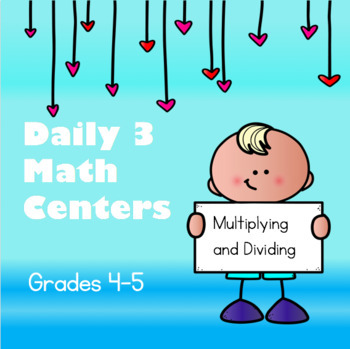 Daily 3 math involves students working on math by themselves, math with a partner, and math writing prompt. The math writing is either a word problem or a question that asks them to explain their thinking. If you're interested in learning more, check out the Daily Cafe Book, which is a part of the Daily 5 series. This resource is meant to be supplemental to other teaching programs. It pairs well as a follow up to math lesson as a form of practice. Please don't forget to RATE this resource! If you have any questions or encounter any problems, please let me know!